You now have more ways than ever to schedule your FREE donation pick up of gently used clothing and household items. DonateStuff.com has been made mobile friendly. No more pinching and resizing your smartphone or tablet screen to see everything. Our website has been optimized for you to be easier than ever to use. 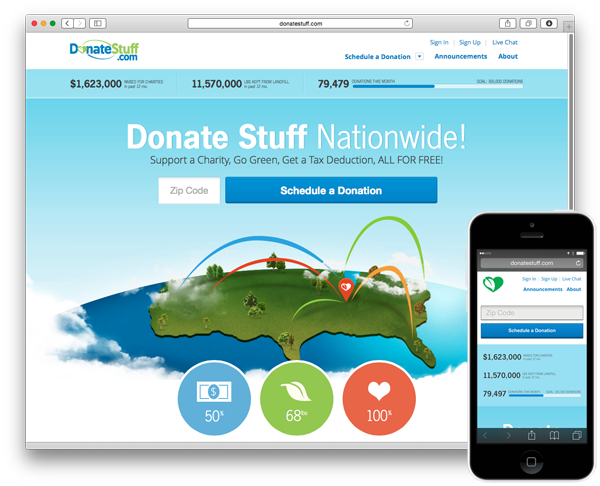 DonateStuff.com will continue to offer our donors the most convenient and innovative ways possible to donate their unwanted clothing and household items forFREE. We are proud to support our charity partners nationwide through your kind donations. Go ahead and give it a try today! 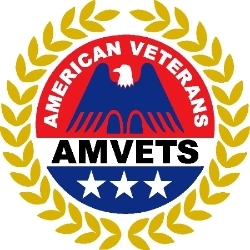 AMVETS is a veteran’s organization chartered by an act of Congress in 1946 whose sole purpose is to raise funds for services, welfare, and rehabilitation work in connection with American veterans. 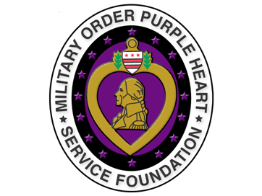 The Purple Heart is a veterans’ organization chartered by an act of the 85th Congress in 1958 whose purpose is to raise funds for services, welfare, and rehabilitation in connection with combat wounded U.S. veterans. The City Mission is a charitable organization based in Cleveland, Ohio that has existed for over 100 years. The City Mission provides programs and resources for those who are struggling with homelessness, poverty, and other crises in the Greater Cleveland area.